A friend has written a book about her adventures in China, called China or Bust! She and I were in China at the same time - though she was there earlier. She and her husband went first together, though later she was on her own. We both completed our Master of Arts (Writing) together at Swinburne University in Melbourne, and recently both went for our Graduation. It is a good read - hopefully my book on my adventures will soon be completed. It is over two years since I left China after my last tour of duty at Shaoxing, so it was quite surprising to find an email in my inbox. "Do you remember me? I am one of your students" The name was not familiar, but I knew it was not Chinese - more middle eastern, which suggested he might have been in the school at Keqiao where I taught one night a week. I replied, asking him to give me more information. He replied with the name of the school, in Keqiao. So I was right. There were not many non Chinese students in the school, but Keqiao is a big textile city - I recall the huge piles of bolts of fabric in the streets each night as I was drive past on my way to class. There was one student I remember well. Who could forget a student with 27 brothers and sisters? His father had several wives - some remained in Pakistan, but he had one or two with him. He was a wealthy man in the rag trade, and his son was learning English to further the business. I replied to him. "Do you have 27 brothers and sisters?" His reply "Yes, you do remember me." My reply "I certainly do." His next reply "I am in Dubai on bissniss"
My reply "English lesson - we spell it business"
I wonder if I will hear from him again, and why, after two years he has chosen to correspond with me. 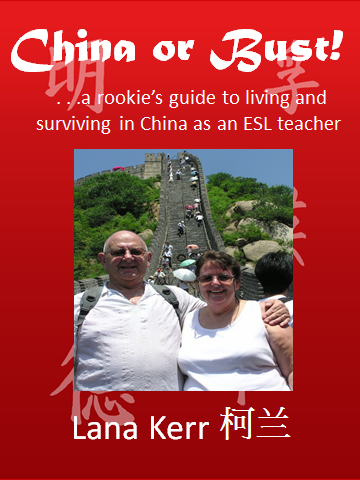 When I returned from China in 2010, I set out to study. I had learned of a Master of Arts (Writing) at Swinburne University of Technology in Victoria, and duly applied and was accepted. Since September 2010 it has been the focus of my life. Most of my assignments were submitted on time, except one, because in the midst of the semester my father passed away, and I found it difficult to focus on my study. I eventually completed the work several weeks ago and waited with fear and trepidation to see if I had made it over the line. Fortunately I did. So last Monday night I received a message, that I could indeed apply for graduation in September. Yippee. Now I can focus on my writing! And my other plans. Is it an indication of our poor schooling these days? Or so many Australians whose first language is not English? Either way, there are so many errors in publications, signs etc, that there surely should be more work for those who are trained to assist with the English language. Reading a property sales brochure today I came across this one. "EVER WANTED TO BUY A PEICE OF ACERAGE WITH EASY HIGHWAY ACCESS TO BRISBANE"
The real estate agency, one would hope, had better spellers for their official documents. What do you think? Do you often spot errors in newspapers or websites? I've been 'itching' to take my car for a longer drive. My driving so far has been around the city and suburbs, and I felt like a long drive, so this morning I set off for Esk. Of course I have been through this part of the Lockyer Valley, but it was a long time ago. I set off just before 9 am, heading down the Motorway and across to the Ipswich Motorway. There was a good deal of traffic - plenty of trucks and I reminded myself that I had not been on a 'country' road for a long time. The weather was almost perfect for such a journey - cool, and quite windy around the city, but out where I went, it was not as windy. My destination was Esk. I do like that name. I'd forgotten that from the Warrego Highway one has to pass through Fernvale. It was here I made my first stop. I did buy a meat pie at the famed Fernvale Bakery and did plan to go back and take a photo, but passed by on my return trip forgetting my promise. The Bakery has won over 100 Awards for their pies, and the place is just wonderful. Indoors it is warm and welcoming, and they have a good outdoor eating area too, and public toilets. However, I do plan another trip soon - they have good markets on a Sunday, so I will make the journey in the next month or so, to see the markets. I went for a short drive and found this house. I had a quiet giggle to myself. See the downpipe into the water tank? See the old airconditioner in the window of the old house/ I love seeing the old country places and the corrugated iron 'features'! It was on June 4th, in 1989, that something awful happened in Tiananmen Square in Beijing. I won't dwell on it here. I remember being in Tiananmen Square in 2010 and a cold chill running through my body as I recalled the images in the press of that awful day. Let it not be forgotten. A friend of mine has published her story about teaching in China, calling it "China or Bust." Christine writes under the name of Lana Kerr. The book is available on Amazon. She and I had quite different experiences. She went with her husband, which is clearly of benefit when taking on living in a strange country where the language is impossible to understand or read when you first arrive. I went alone, but fortunately my contract was with a university that had a large number of foreign teachers, and some 10 or so from Australia, if my memory serves me right. At least there were plenty who spoke English, and some had been there for a while. Christine/Lana also did not appear to live on campus, but had the challenge of living in housing surrounded by other Chinese, and without the support that I had. She tells the story of going to China, and offers advice and suggestions for people looking at going there. I am also currently reading Peter Hessler's book "River Town" which details a completely different story of an English Teacher in China. He went to a city called Fuling, in the Yangtze River Valley, a city on the banks of the river, but so steep that going up and down stairs to shops was the order of the day. There were no bicycles as it was too steep!!! Lana's book can be found here. Peter's book can be found here.